What’s the best grocery list app? 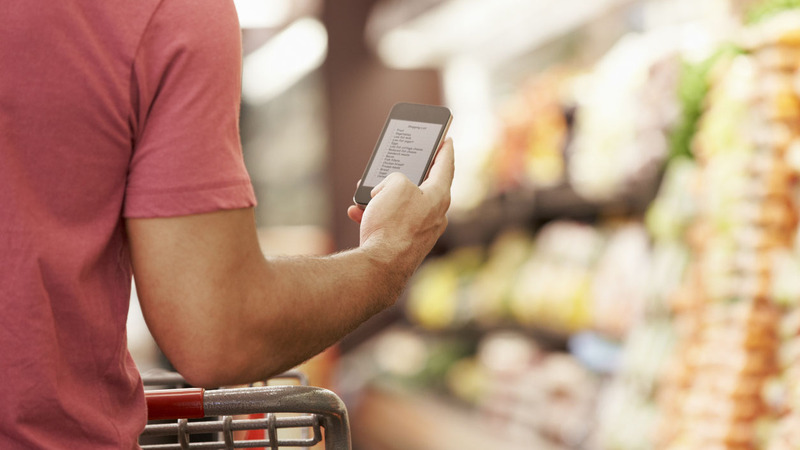 In today’s tech world, grocery shopping and running errands can be made easier with the touch of a grocery list app. Smartphones aren’t just for calling and texting; they’re great organizational tools too. Thanks to apps, you can utilize your phone to organize every aspect of your life. Who needs to grab an old-fashioned pad of paper and pen to write out their grocery lists when they can open up an app and save their must-have items in a convenient place? Here are the best shopping list apps for your phone. AnyList is a wonderful grocery list app. Its user-friendly design makes it super easy to use and helps make grocery shopping a breeze. One of the standout features of AnyList is its ability to share your grocery lists with other users. That means that you and your spouse, roommate, mother, etc. don’t all have to login to the same account from different phones when they need to pick up some groceries on their way home. You can share your lists with anyone through email or text or through the app if they are another user. When you go to add an item to your list, AnyList groups the item by store section to make shopping easier. All of your bakery items will be listed together, as will the dairy, meat, and so on. You can also manage multiple lists, which makes it easy to organize store-specific grocery lists. AnyList also allows you to add recipes so that each ingredient you need will be added automatically to your grocery list. Grocery iQ is perfect for the coupon cutter. It’s made by coupons.com, so whenever you add an item to your grocery list, the available coupons will pop up. However, not all the coupons that appear will be appropriate for what you’re planning on purchasing. They don’t always match up. Another cool feature is the ability to sync your account with your favorite grocery store’s loyalty card. If you do that, coupons can be added directly to your list. Paprika is a great option if you’re an avid chef. It has a built-in browser so you can search and discover new and favorite recipes just like you would do when surfing the web on your computer. Then it will import your choices to your personal recipe list. From your recipes, you can add all of the ingredients to the grocery list. Paprika also allows you to adjust serving sizes and quantities needed. It’s perfect for meal planning no matter how often or how much you cook.